Dramatic beadwork accentuates the waistline in contrast with the plain strapless bodice and skirt. Two box pleats at the front and three box pleats in the back give fullness to the skirt. 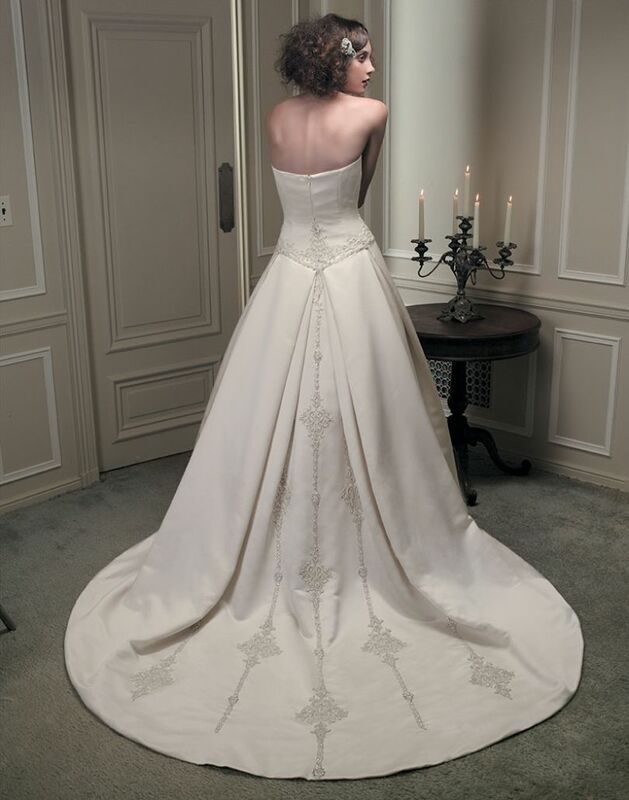 Three-dimensional beaded lace is placed at the semi-cathedral train and continues up to the waistline.